- Tons more including cake! James Ellsworth joined us to tell us his experience of working for WWE vs Braun Strowman in the now famous match from the first post draft RAW! - an IYH fan draft?!? Mason Ryan opened the show talking about his transition from WWE super star to performer for Cirque Du Soleil! See Mason 5 nights a week at the MG Grand for Cirque Du Soleil Ka! - Incher's history of the WV and more! "Total Protection" Mr. Hughes joined us to talk about his decades in the business for all of the major promotions and his wrestling school! - What drug was Roman Reigns busted for? Then Jack and Incher went over all the wrasslin news of the week!?! Then Jack and Incher went over all the wrasslin news of the week including the #AshleyLynnLied sign from RAW!?! That's right Jerry Lawler has a Batmobile and this is a new edition of IYH. Listen to President Clinton and OIB talk about all the recent topic's in the Wrestling World. 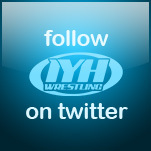 - Matt Hardy insane promo! 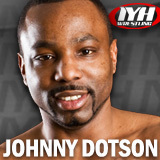 - Old talent being called up for Brand Extension! Be there for the night Jack calls in from the bus station and shares his marketing idea's for the Boogie Man! Time for another edition of the greatest wrestling audio show that ever existed! 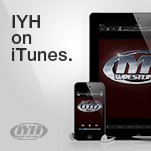 Join President Clinton Juju Bee Jack E Jones and Oneinchbiceps for a very special edition of IYH! It's the Draft!! Listen to Team Icon of the Bees and Team Prez Goat as they pick all the WWE superstars for their own personal Draft. The line was drawn, who has the superior roster! You'll just have to listen to find out. Also went over all the current topics in wrestling world. - Lights went out on Impact. - AJ Styles vs John Cena! Listen now! If you don't now it might be to late! 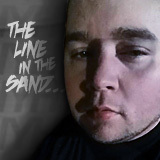 RAW recap then we were joined by Santino! Finishing off the show with calls from The Headyverse! Santino is coming to IYH! This Tuesday we are joined by Santino! - Big E and cake! - The aftermath of Bluegate and more! 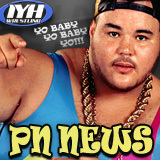 Jack and Incher with calls and the wrasslin news plus a historic night in the feud of OIB and La Blue Guy!!! Teddy Long opened the show with us playas! Then Jack and Incher went over the week in wrasslin, RAW, WWE firings and more! 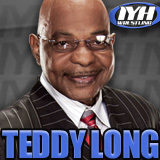 Live tonight 9PM EST/6PM PST Teddy Long! Call in and talk to Teddy yourself 1 508 644 8503!